Welcome to the Integrated Catholic Life™. 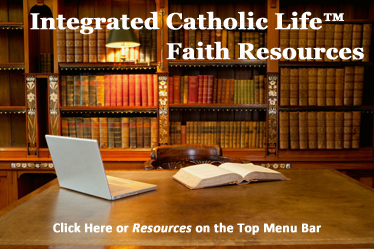 Our goal is to provide practical and relevant content to help you integrate faith, family and work. We invite you to “Put out into the deep and let your nets down for a catch” (Luke 5:4). You can read about our contributors and find their articles by clicking on the photos below.